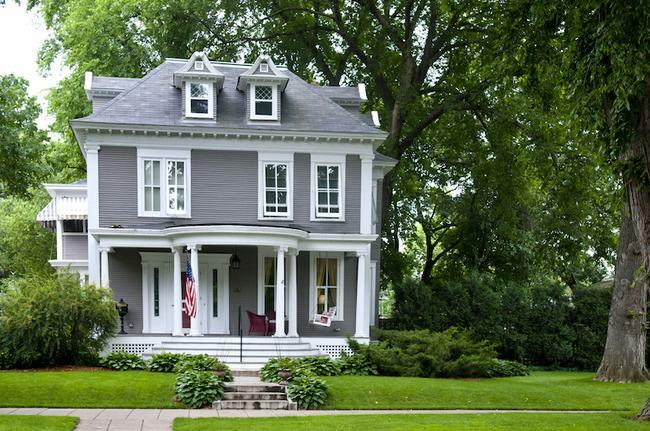 Minneapolis Houses for Sale - Uptown District | Stutsman Realty, Inc. If you’re interested in living at the center of it all, you’ll want to look at one of the leading Minneapolis area communities that can serve that desire: Uptown Minneapolis. This thriving part of the city is located about a mile south of downtown Minneapolis and has a reputation as an eclectic, prosperous and entertaining community. Located in the Southwest corner of downtown Minneapolis, this area is geographically defined by Lake Calhoun to the West, Dupont Avenue to the East, 31st Street to the south and 28th Street to the North. Uptown is a lively, vibrant district that seamlessly blends convenience, amenities, and plenty of style. Residents enjoy a multitude of sought-after features, including historic architecture, great schools, and outdoor recreation, plus close proximity to fantastic restaurants, nightlife spots, and incredible entertainment options. No matter what you’re hoping for in city living, Uptown MN will exceed your expectations with the energetic neighborhoods through the area that offer an inclusive community with everything you might need or want just steps from your doorstep. With grocery stores, eclectic restaurants, and quaint coffee shops alongside luxurious spas and modern gyms all set to perfection against the beautiful parks and lakes nearby, you’ll have it all in the heart of Minneapolis. Each of the four neighborhoods reflect the distinctive culture that permeates Uptown, whose unique community is a thriving center for the arts, music, and culture. Residents in Uptown Minneapolis should never get bored with the multitude of amenities and activities throughout the district. It doesn’t take much searching to find a great restaurant in uptown Minneapolis, especially with the number of options you have at your disposal. If you want to branch out and enjoy Thai, Indian, Vietnamese, and Japanese, you’ll be thrilled with the wide array of exciting ethnic options. However, you’ll also find fantastic takes on American fare, brunch classics, and so much more. French bistro Barbette and the eclectic Chino Latino draw diners from across the city and beyond! Whether you’re looking for a simple date night, a night out with friends, or a raucous time, Uptown Minneapolis has nightclubs, rooftop bars, pubs, gourmet eateries, wine bars, coffee shops, and even a speakeasy or two. If low key is what you’re hoping for there are a variety of options to choose from, including Williams Pub and Peanut Bar and Troubador Wine Bar, and if you’re looking for something with a little more energy, there are plenty of buzzing nightclubs. If you need a bit of retail therapy, and you are tired of boring chain shops, Uptown has what you need! Featuring independent book shops, indie boutiques, and vintage shops, there are amazing options, with the most popular stop being Calhoun Square. As if living at the center of it all wasn’t amazing enough, this community also offers its residents an excellent public transportation system to take them elsewhere in the city. The Uptown Transit Station on Hennepin Avenue serves several Metro Transit buses. The station also offers bike lockers and posts, a workers lounge and an office area. Due to its proximity to the Lake Harriet and Lake Calhoun, many residents choose a bicycle as a means of transportation for getting around. Uptown also has been known to host many nationally recognized bike races. When it comes to events in Uptown MN, one of the most renowned and enjoyed is the Uptown Art Show. As one of the areas biggest events, the Art Show is held every August, and features artists from all over the country as well as well-known local artists and is one of the highest attended events in the district with roughly 400,000 attendees (only the Minnesota State Fair has a higher attendance!) The art fair has won over 140 International Festivals and Events Association (IFEA) Pinnacle Awards. For residents concerned with education, Uptown is near excellent schools. Many children from kindergarten through 8th grade in Uptown attend Jefferson Community School, though Lyndale Community School and Whittier International Elementary are excellent elementary schools, too. Uptown is primarily served by Washburn High School. If you’re interested in learning more about Uptown real estate, or you’re ready to look at buying a home or renting an apartment in Uptown, call us at 952-927-4144 or contact us. We’ll be happy to answer any questions you might have as well as tell you about available real estate as well as rentals too.